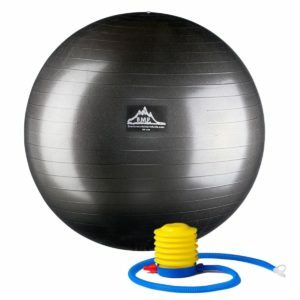 Professional Grade Stability Ball in Black, Rated up to 2,000 lbs. I love this ball. I use it at work as my chair to help remind me to focus on my core and keep my posture correct! 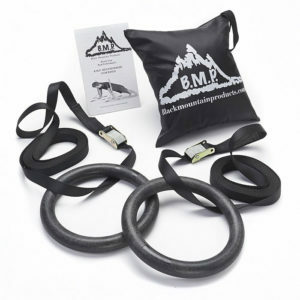 Quality service on quality products makes Black Mountain Products a no-brainer for me. I ordered the 65cm Anti-Burst Stability Ball on 8/25. A few days later it arrived. I took my time inflating the ball over the course of a day and a half, letting it stretch out. 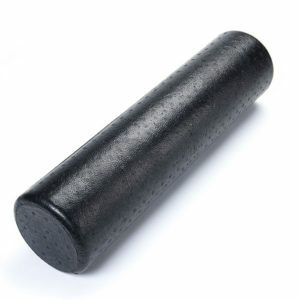 I have used it a couple times now for heavy dumbbell presses and indeed – it could not “feel” any more stable. I also took the opportunity to call customer service and was greeted by somebody that you can tell cares about their products. First rate all the way around!!! I ordered this ball and am very pleased with it! 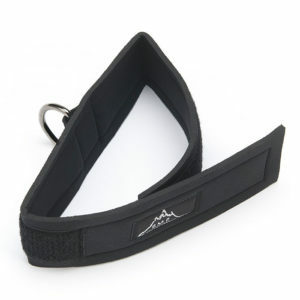 It is durable and withstands my bouncing without making me feel like it will give way at any minute! I have been using it at home, to add in some extra work out between gym visits. I do crunches on it, pikes, and various cardio routines. I have used videos off of Youtube for exercise balls, and am thrilled with the quality of this ball! I’ve owned others and this by far is of the highest quality! Thank you black mountain! 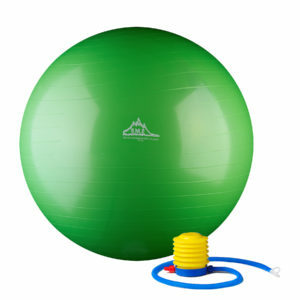 With so many stability balls out there on the market, I looked to my trainer for a recommendation. This is the one she recommended and I am very pleased with it. Very durable, I’m well over 200 pounds, and I couldn’t be happier with it. Good price, fast shipping, I’m very happy all the way around. This ball was a perfect b-day gift for me, helps stretch my back. Also helps with my posture, allowing my shoulders to fall back farther then before. Great ball can’t wait to try your other products. 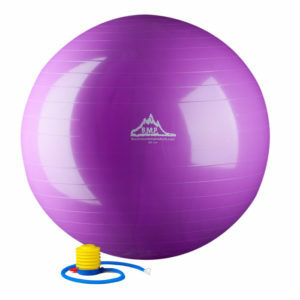 This is a great exercise ball. The kids are now excited to join in on our workouts. Plus, it is a great chair for me at my home office. 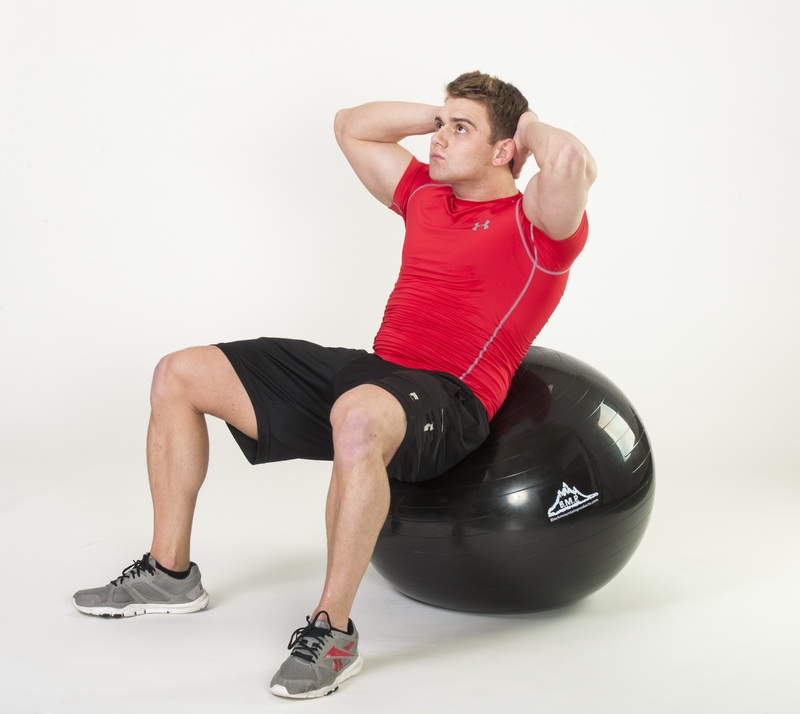 This stability ball is an excellent tool to work on thoracic bridge mobility. I envision it moonlighting as my desk chair at work. It’s also quite fun to bounce on and has been a popular addition to the seating in my family’s living room. I don’t know who loves this ball more, me or my kids. I use this everyday before I go to the gym to stretch and also like to work out my abs on it. It is a very good quality ball compared to some of the others I have tried in the past and was easy to pump up for quick use. I got this as a Christmas gift and couldn’t be happier! I also can’t wait to try my free yoga mat because I have never had one before ???????? Use for both working out and as a desk chair. Great product so far and great customer service. I love this ball. I was disappointed when mine got a hole in it but I’ve had mine for two years and I think it got damaged during a move. I am so happy with the ball for work and exercise reasons overall though that I’m definitely ordering another. I HIGHLY RECOMMEND this ball to anyone! Great product. Excellent customer support. I use this for my physical therapy and also as a desk chair for when I need to work on my posture and core. I love it! I purchased this ball to use as my desk chair. I found that sitting all day in my Herman Millar chair was really hurting my back and shoulders. This ball is incredibly strong and is serving me very well as an desk chair. This is an excellent value. As an added benefit I now get a quick stretch or a quick exercise in between emails! Great product! Plastic smelled a little bit out of the bag but quickly went away. The durability is great! Great as a “chair” at work or for exercise at the house. Inflating was simple and the instructions were easy to follow. Just keep follow the directions as given. Great product. I bought this ball to use for my workout. Felt little bit plasticky. would be better if inflating was more easier. definely would recommend this to other cheap and does it work. 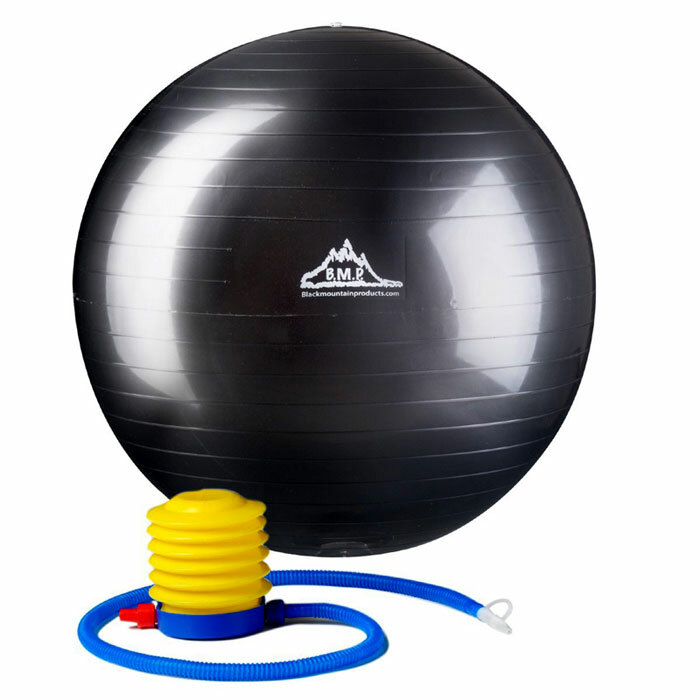 On July 19th, 2016, I purchased this Black Mountain Exercise Ball 65cm Antiburst 2000 lbs…it arrived promptly in A-1 condition (unused) in a compact sturdy box, well packaged…with a foot pump and air hose line, with 2 insert air spouts already attached to the hose; 2 stopper plugs; and a “Y” tool to remove plugs, when needed; plus instructions and suggested exercises. N.B. I didn’t buy the ball to use for sitting at a desk, but only to use it for exercising. 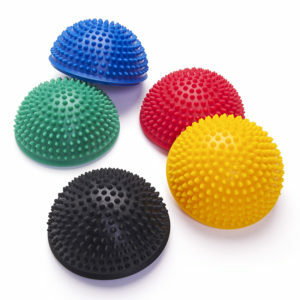 Thus far, I like the ball’s sturdy and flexible feel; a real bonus is the fact that the ball doesn’t smell at all…if one detects a very slight odor, it’s not really noticeable…I use it on a rubber mat so nothing minute to the naked eye on my parkay floor will damage it. It’s hoIding air very well, after 2 weeks use…I haven’t had to pump air into it again. I highly recommend it for exercising…thus far, I love it and would definitely buy one again! It’s made by a good reputable family company with integrity. I hope this great quality ball lasts!!! I not only wanted an exercise ball for working out but I wanted an exercise ball to use as a desk chair since I’ve had some back pains sitting in a regular chair. I have nothing but great things to say about this product. It’s very sturdy and has helped me with my posture when working at my desk! It has helped me with working out by giving me more options since I do not go to the gym. Very easy to adjust firmness of the ball. Also, my very pregnant friend loves sitting on this as well. to use as my “chair” @ the office a couple months ago… My co-worker has been using one for years. After hearing her positive reviews I wanted to give it a try. What a difference it makes! My Sciatic Neuritis isn’t nearly as present using the ball versus a standard office chair. Additionally, I feel refreshed throughout the day. I recommend giving it a try…. I just started using this stability ball in my PE classes with my younger students to practice balance, control, and teamwork. They lie on the floor and pass the ball using their hands and feet without dropping it. The kids are having a blast! This was a great addition to our go-to PE equipment! 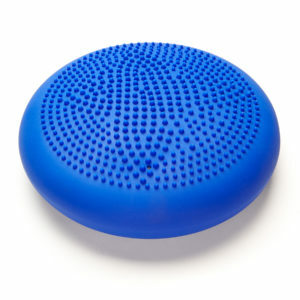 I bought this ball recently in blue. Overall, it is a great product because the color is beautiful, the ball is comfortable and easily inflatable. I haven’t used it for a long so I’m not sure if the material will get worn out significantly. I use it as a chair at home to help me burn a few extra calories and to remind about proper posturing while sitting. Great product! I purchased the Purple one for my height to work out at home. I recently brought it in to work because I am having trouble sitting for so long. Just wished I bought a side up for my desk! I am 200 lbs and this seems to hold my weight well and feels stable. I have owned it 2 or 3 months and has held it’s air and shape over that time. I skipped over the less expensive options because this seemed to have a better pump that worked out well. It also came with an extra plug in case you lose or break one. This exercise ball is the answer to improving my sitting setup at work. 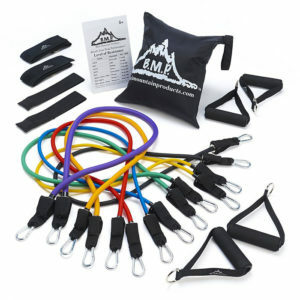 The price and quality are comparable, and Black Mountain offers a dynamic deal for Prime members on Amazon. Not only is it easy to fill up, but the sizing to accommodate the user is a good match. I’m able to use it for my seat while working, it serves as a chair if we have one too many guests, and I can also use it for core/stability exercises at home. 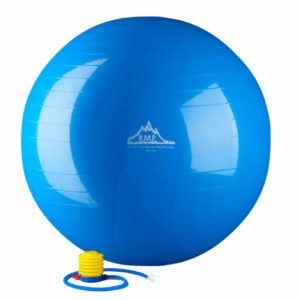 We just received this exercise stability ball and are very pleased with it. It was easy to inflate with the hand/foot pump provided. I was happy that there was not strong plastic smell upon opening the box. Material is very sturdy and appears durable. a great product everyone should have at home or at the office.